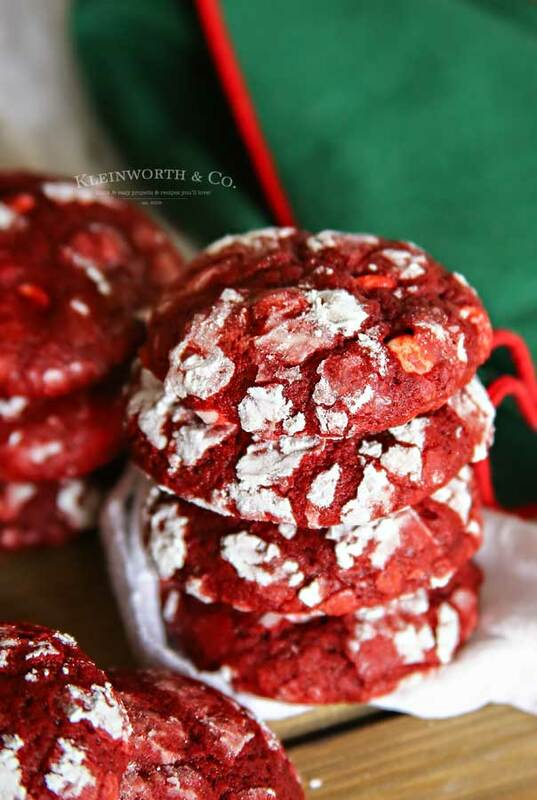 Red Velvet Crinkle Cookies are soft and chewy crinkle cookies packed full of white chocolate chips. 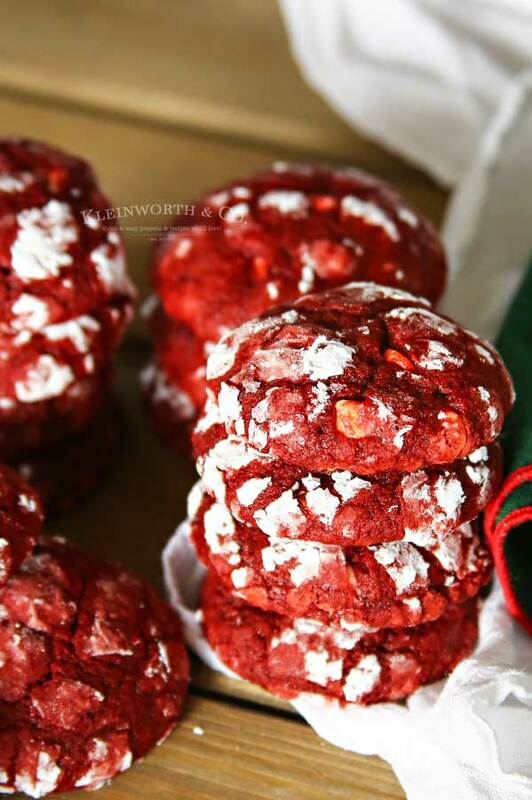 A perfect holiday cookie for the red velvet lover. 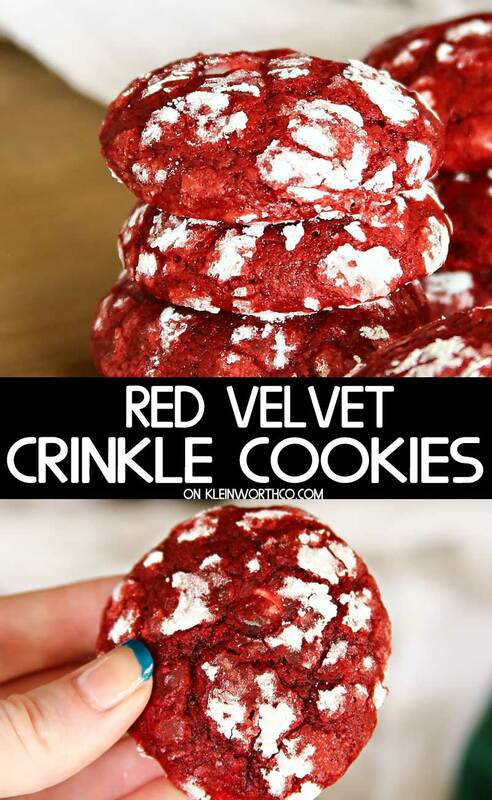 Do you love red velvet? 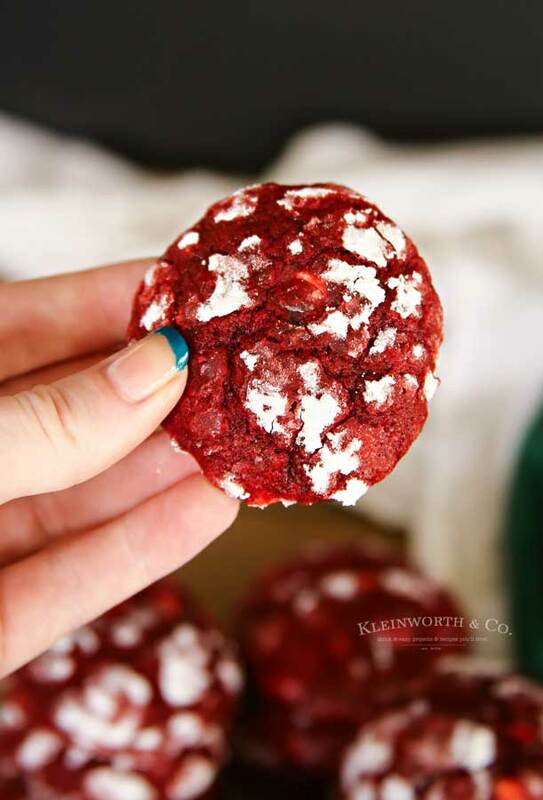 Maybe have some red velvet lovers on your holiday gift list? 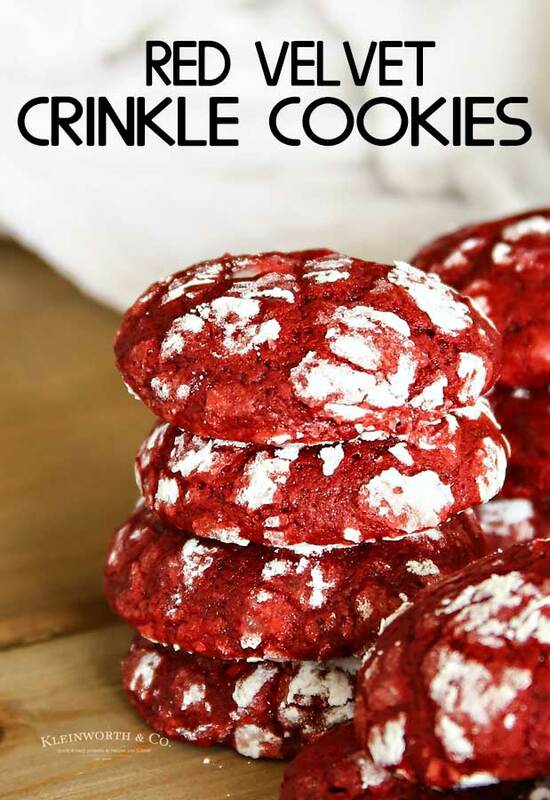 Then you absolutely have to make these super delicious Red Velvet Crinkle Cookies. I decided that loading these full of white chocolate chips would be a fabulous idea. Boy was I right. 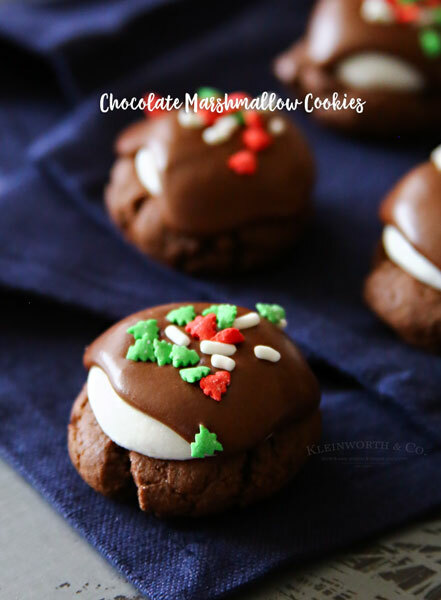 They really added the perfect little pops of added sweetness to these cookies. I love how complicated they look but how easy they really are to make. 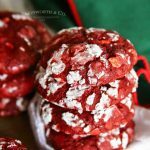 Crinkle cookies have been a long time favorite and then adding the red velvet obsession just makes them perfect for the holiday season. Can I leave out the white chocolate chips? Yes, of course. They aren’t necessary. You could however replace them with mini semi-sweet chocolate chips. 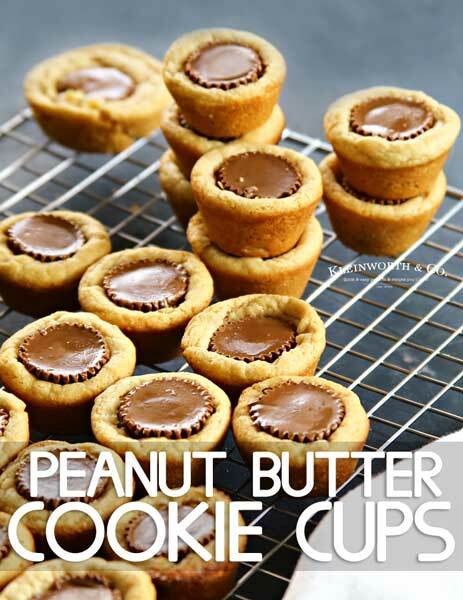 That would make these not only just as delicious but super pretty too with those little pops of chocolate in there. What food color do you recommend? I really love using a soft gel food color because the pigment is more intense and makes the dough less watery. Try this one from Americolor. 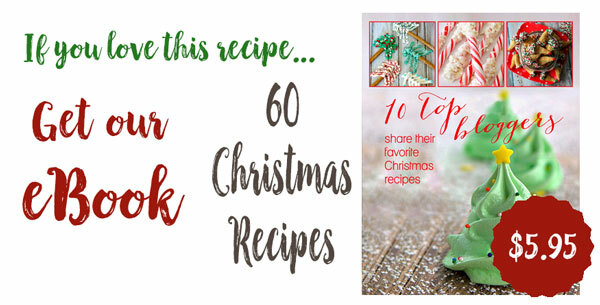 Combine flour, cocoa powder, baking powder, baking soda, and salt. Whip butter and sugar together. Add buttermilk, vanilla and red food color. Roll dough into balls and then roll in confectioners sugar to coat. 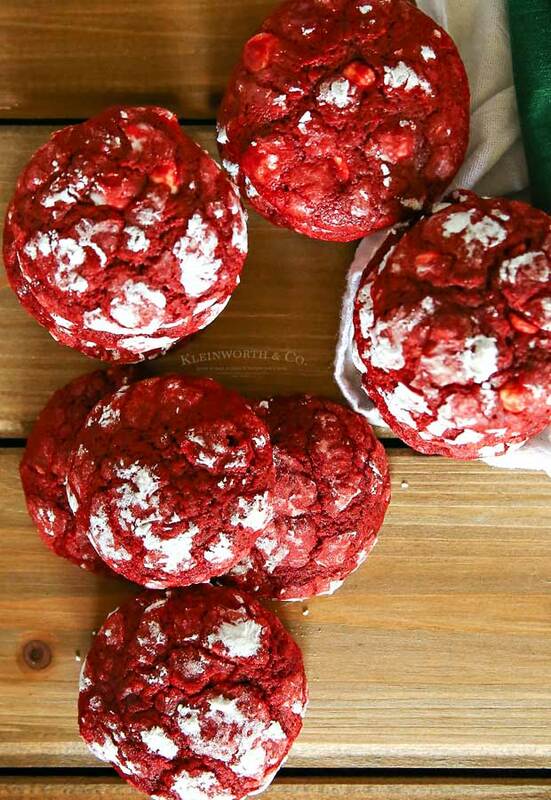 You can’t go wrong with these soft & chewy red velvet crinkle cookies! 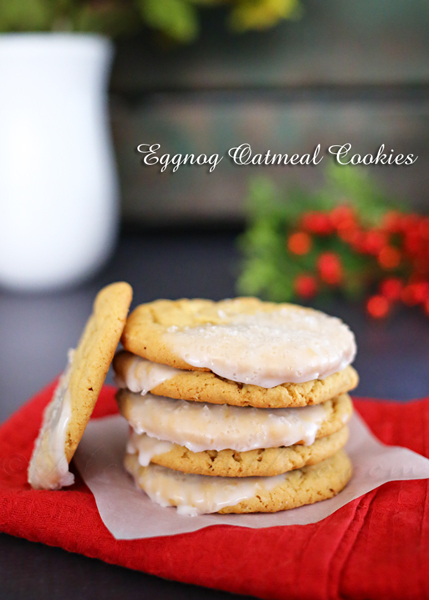 Looking for more great holiday cookies? 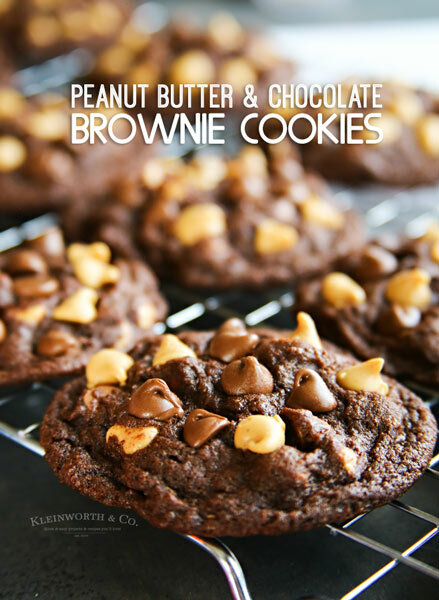 Combine flour, cocoa powder, baking powder, baking soda, and salt. Set aside. In a large mixing bowl, whip softened butter and sugar together until fluffy. Add buttermilk, vanilla, and red food color. Slowly mix in dry ingredients until just combined. 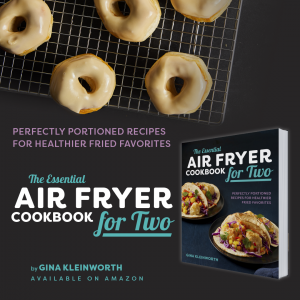 Cover and chill dough at least 2 hours. Roll chilled dough between hands into 1-1/2" balls and then roll in confectioners sugar to coat. 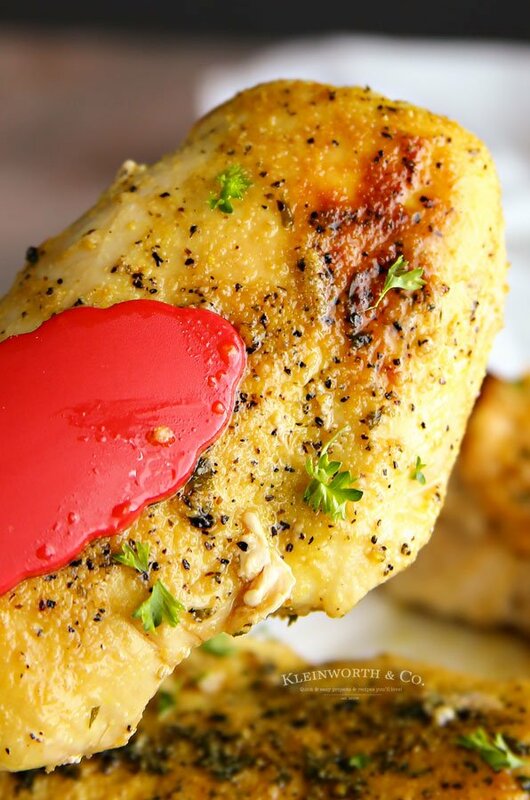 Bake on a parchment lined baking sheet for 13-14 minutes. Cool on pan for 5 minutes before transferring to a wire rack to cool completely.